Ask President Obama to urge Congress to support the Prevention of Equine Cruelty Act. Horses have been our trusted companions and are a historically significant part of American culture. They deserve a more dignified end to their lives than to be inhumanely slaughtered and served for dinner. H.R. 503 would put an end to this practice by prohibiting the transport of America's horses to foreign countries for slaughter. Ask President Obama today to urge Congress to support H.R. 503! Sign the petition and tell a friend. Good news, animal advocates - the Prevention of Equine Cruelty Act was among the first bills introduced in the new 111th Congress, which convened on January 6. The bill was originally introduced in the summer of 2008 as H.R. 6598. Although it gained the support of 61 cosponsors, there simply was not enough time left in the 110th session to get it passed. The Act has been renumbered H.R. 503, and since this is a new session of Congress, we now are back to square one. Take action today! Sign the petition below and tell a friend. 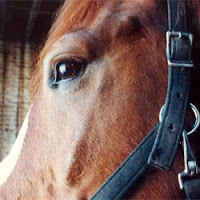 As a concerned animal advocate, I am writing you to urge Congress to support the Prevention of Equine Cruelty Act (H.R. 503). H.R. 503 would prohibit the possession, shipment, transport, purchase, sale, delivery, or receipt via interstate commerce of any horse intended for slaughter for human consumption. Americans do not eat horse meat. However, every year, more than 100,000 American horses are cruelly slaughtered just over our borders to satisfy the markets for horsemeat in Europe and Asia. Since the last horse slaughter plants in the U.S. were closed in 2007, unwanted American horses have been shipped to Canada and Mexico for slaughter. Overseas processing plants are not subject to U.S. oversight or regulation. Due to overcrowded transport conditions, many horses are injured even before reaching their final destination. Some are shipped for more than 24 hours at a time without food, water, or rest, and the methods used to kill these horses once they arrive at the plant can be exceptionally inhumane. Please help end this cruel practice - support H.R. 503, the Prevention of Equine Cruelty Act.